When you're training outdoors, the last thing you want to worry about is the weather. 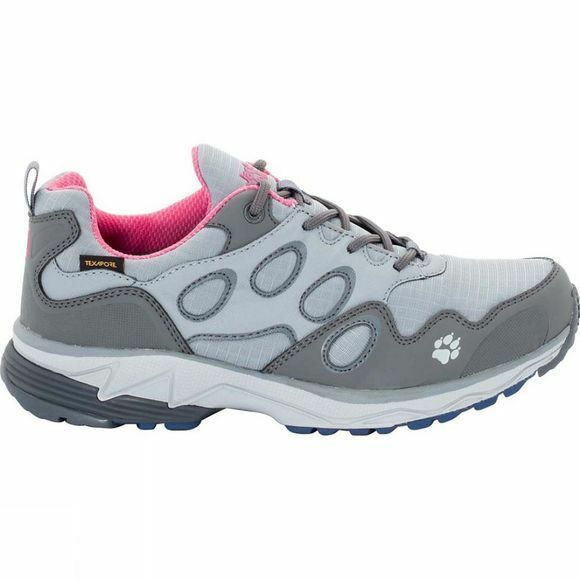 The waterproof Womens Venture Fly Texapore Low Shoe from Jack Wolfskin is designed for trails, paths and gentle terrain–and designed to keep your feet dry. The uppers consist of easy-care synthetic leather, with mesh panels that allow warm, moist air to escape. Need to get out for a run whatever the weather? No problem. The membrane will keep your feet dry. adapted the lightweight sole's roll-over performance to suit the demands of trail running.